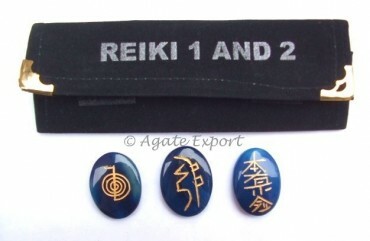 Blue Onyx Reiki 1 - 2 Oval Set is used by beginners. This stone helps the user to introspect and connect to ones higher self. Contact Agate Export for this oval set.